Sometimes I wonder if I actually practice what I preach. A few weeks ago I saw a Facebook post from Sue at ST60 & Beyond, where she asked what we liked best about ourselves. Sue was looking for an acknowledgement and recognition of what characteristic I had that I was really proud of. You'd think it would be a walk in the park for a 50+ year old woman to answer this wouldn't you? Yes, it was a simple and straightforward question, and should take less than a minute to answer, but I ended up scrolling past and not commenting because I couldn't think of ONE thing that I was really proud of and able to separate out and claim. This saddened me because I'd feel sorry for anyone who couldn't come up with several answers to that question - and it was me who couldn't come up with even one. 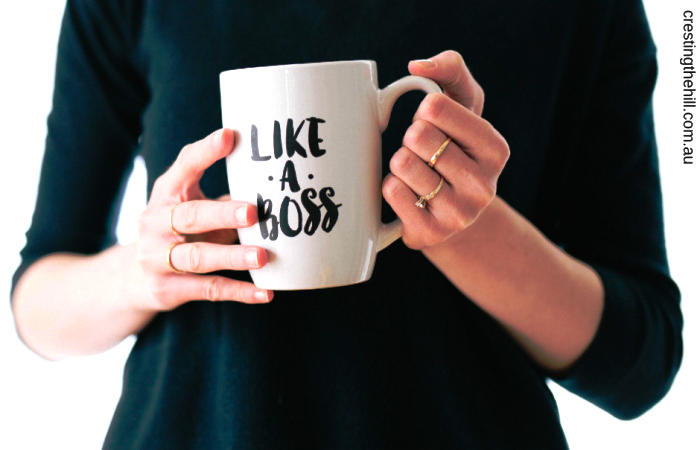 I've thought about this on and off over the last few weeks and it bothered me that I blog a lot about embracing our strengths and knowing what we bring to the table - and I couldn't manage to come up with anything on the spot when asked. In the end, I decided to take one of those online questionnaires that tells you what your strengths are, because I thought it might give me a bit of direction (and a kick up the pants in taking ownership of qualities I possess but obviously don't take enough pride in). I actually thought it was pretty accurate and I can see that all five are character traits I value and take pride in. It was a helpful exercise to seek out my positives instead of making light of them. We're taught from a young age to be self-effacing and humble, but if that comes at the expense of knowing our innate strengths and taking pride in them, then maybe it's time to re-think some of that old teaching and start afresh. There is nothing wrong with being proud that I have integrity and balance and optimism - why should I feel that it's big noting myself to say out loud that I have these qualities? I definitely need to work on my inner dialogue and start owning these strengths and living them out loud and proud. So Sue, (better late than never!) I'm here to say that I like that I have integrity and I'm an optimist and thanks for asking the question. Can you easily identify your strengths and answer the question if you were asked? Were you brought up to think that you aren't supposed to compliment yourself? Are you re-thinking stuff that may be holding you back? I know that I am! Integrity, Faith, Balance, Teamwork and Optimism are all qualities of which to be extremely proud. I believe the nature of many of these important traits also cause the bearer to not always immediately recognize them in themselves. I would also add Caring to your list...as well as Writer! That's so kind Donna - and interesting about not recognizing qualities because I have those qualities! I'm really going to work harder at owning my good points - I'm very quick to acknowledge my less than perfect ones, so maybe it's time to balance things out a bit more. It is sad that many of us aren't comfortable recognizing and acknowledging our strengths. The five that you identified are great ones to have... and I bet you have many others. Wear them with pride! Thanks Janis - I'm not sure why it's so hard to own what we're good at - or why that simple question was so hard for me to answer. I think I'm progressing, and then I realize I still have quite a way to go before I can claim to be quietly confident. I don't know whether it is a women's thing or a generational thing because I have a hard time talking myself up as well. I'll have to take the test to see what it says but I would say I'm organized, truthful and loyal to start. It's so interesting that you said that. Maybe bragging about ourselves is harder for some of us. Sure, I'm proud of a lot of things, but it's hard to think of them off the top of my hat. I think that's what I thought too Jodie - that I'd be able to whip out half a dozen great things - to come to a grinding halt with nothing was a bit of an eye opener and a lesson in appreciating what I bring to the table. While I was brought up to be strong in so many ways, my culture also dictated that I should not compliment myself. This is regarded as arrogance and self-centeredness. But having the opportunity to live in different countries, experiencing other cultures and getting old changed this mentality. I now know that complimenting myself means knowing who I am, which is a very important thing. Sometime, I still revert back to my old way of thinking. I'm a work in progress. I'm not sure where the concept of not complimenting ourselves comes from Sigrid, but it's hardwired into us isn't it? It's like I have to re-program my brain to even think that it's okay to say what I think I'm good at - yet we can criticize ourselves so quickly and easily. Something got twisted up along the way. I think it is a generational thing but really was hammered home to girls more than boys in more subtle ways. I actually had a 10th grade English teacher say to the class daily, "Don't call attention to yourself"! It was her form of discipline if you could not answer questions or did not do well on a test or assignment. There's so many different directions that it came from in our youth Haralee - school, family, church, older people, even friends - why weren't we building each other up instead of knocking each other down to size? Good on you for choosing the positives in life Patrick - and I like that you can name several good points straight off the top of your head - I could learn a lesson or two from you! I used to have a tough time with this type of question but since turning 50 I'm more open about my strengths. It's a good exercise to do every so often. As a yoga instructor and a student of yoga, I no longer pass judgement and accept my strengths and weaknesses. I wish it came easily to me to be able to name and claim my strengths Judi - maybe I need to take up yoga or some other contemplative discipline to know myself better. One word immediately came to mind when I read the question: productive. If I waste a day, I go to bed mad at myself. I agree that we are all supposed to be humble about ourselves. Often, women are labeled negatively if they have too much pride. But I admit, I judge men the same way: If he's smug about *whatever*, I immediately assume he's a jerk. It's a fine line isn't it Red? You can't be too self confident but you also don't want to be too self effacing. Also a strength can become a burden if we let it take over too much of our lives (ie productive can become driven and confident can become cocky). Such a tricky balance! LOVE this post, Leanne!! All of these are superb qualities that I value and am trying to develop myself. I think if I was to pick one that I most love, it would be optimism! Now as to whether I possess it in enough measure to feel pride? Hmmm . . . I'm a work in progress! I'm in progress too Diane - it's all well and good to find a few qualities, and another entirely to own them and develop them and feel pride in how far I've come. 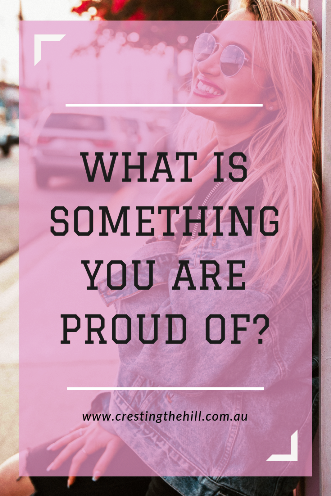 Hmm...I'm sitting here trying to think off the cuff of something about myself I'm proud of and, while I'm not coming up completely empty, I'm struggling a bit to say what makes me proud of myself without sounding like I'm bragging. I'm not afraid to learn something new. The blogging adventure is proof positive of that, for sure! That will have to do for now...:) Thanks, Leanne. I feel like I learned a bit more about you from reading this post, Leanne, and that is pretty cool. I agree that we are taught to be humble, and expressing our positive qualities could be viewed as conceited. But it really isn't...it is knowing who we are and how far we have come in life. You're right Candi - we should be able to own our journey and how far we've grown and who we're becoming without sounding conceited or big headed. I'm trying really hard to take those five character traits and claiming them as my own - rather than being ridiculously modest about who and what I am. Thanks Natalie - I think you're right about saying it out loud - it makes it more real doesn't it? Now to practice! Those are some fabulous strengths you have Leanne! You know what, I'm the same. When asked what I like about myself, I struggle to come up with anything. I guess I could say I am a caring person and I'm a loyal friend. Those come to mind first! Those are both fantastic traits Min - and I'm sure there's many more - I was amazed to come up with the five from the questionnaire that actually rang true for me. It's interesting what we have that we don't recognize isn't it? You have some wonderful strengths Leanne, and what a wonderful questionnaire it must have been to uncover them in such clarity but depth too. I definitely agree having met you. I can't think of one thing I'm really proud of either. Generally I'm denigrating myself, and telling myself to do better. Probably as a result of all those school reports saying, "could do better!" I also think growing up in England we were told not to show off or brag - being 'pleased with yourself' was a bit of a put down. If I had to list a few things I think they would be: Fiercely loyal. Caring mother. Motivated. That's an interesting take on it Christie - I think we find it difficult to look at ourselves objectively and to be able to name our qualities without feeling like we're big noting or bragging. I think you're right about asking what others would describe about us - it helps us find clarity in amongst all the subjectivity. It's interesting that it impacted on you (and Deb) too Jennifer - I thought I was the only one with self esteem issues! Everyone else always seems so confident and in control of their lives - we have no idea what's going on under the surface do we? Hi Deb - it's strange that Jennifer said she'd skipped over it too. We must all have gone to the same school of disregarding our strengths and not acknowledging what we bring to the table. I'm good at complimenting people too, but when it comes to complimenting ourselves we seem to struggle. 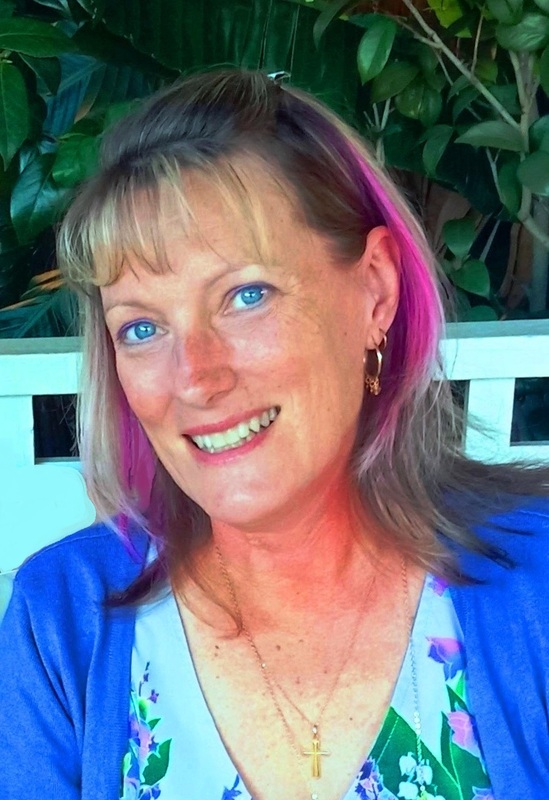 Meeting people like you through blogging has definitely had a positive impact and if questions like Sue's open my mind to looking deeper then it's all for the good. Sounds like pretty good qualities to me Enda - a few more kind and sensitive people in the world would be a good thing. Kindness and loyalty are two very important qualities in my book. It is hard to tell other people about your strengths--your super powers. One of mine is honesty, but it can also be a weakness as I find it difficult to keep even surprise parties secret if someone asks me a direct question. This played out in my favor in August when my mother turned 99. She thought I planned a party for her on her birthday...I didn't. Instead I planned a surprise party for her the following weekend. All day she kept asking if there was going to be a party that day and I kept saying, "I didn't plan a party for you...today." As you know, Leanne, I struggle with self-acceptance. So, identifying something I'm "proud" of does not compute. I love your idea of doing a strengths-finder quiz to help me objectively identify these areas. I think it will lead to an increase in self-acceptance and self-love. FABULOUS post (and will pin to #mlstl board as a constant reminder that we all have value). Hi Molly - I really enjoyed your post that you linked up with #MLSTL this week - I think we are on a similar journey where we're trying to strengthen those areas in our lives that are lacking. 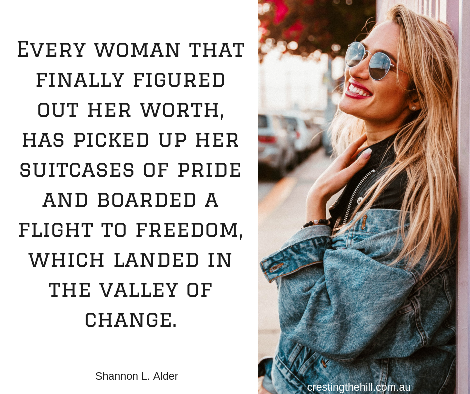 Developing self-worth and a sense of value in your 50's is a lot harder than if it had been instilled in us from childhood - but we'll get there! Hi Pat - isn't it interesting that there were four of us who skipped over the question because it was too hard - and yet it really was such a simple, straight-forward thing to answer. How come we find it so hard to acknowledge our strengths? I guess it's little jolts like this that keep us progressing and learning about ourselves. I found the questionnaire gave me a bit of direction and that was a good start. Even at my age, 51, every time I talk to my dad he tells me how proud he is of me. I am the first person in my family to graduate college and I did that after quitting high school and having 3 babies before I was 25. I am very proud of my nursing degree. I am so blessed to have had such an amazing support system! My dad never complimented me Michelle and I think I'm poorer for it. You are so blessed to have a parent who openly and honestly gives you positive feedback. I try to think how different I'd be if I'd had it - I can't even begin to imagine! Leanne, another great post. I think I recognized long ago that I needed to own what I am proud of because no one else would. That's so true Janet - and it's something I tell myself - and then promptly forget! Having a few characteristics to pin to my name is going to be a help I think.